So my husband and I were watching The Vow just now. I was prepared to watch a so-so movie because that’s what I heard one of my friends say about this one. What I didn’t expect was.. I’d end up crying like a hormonal pregnant woman (oh wait, yeah, I’m one!) and holding on to my husband tight, unable to stop the tears, by the time the movie credits rolled out. Allow me to blame most of it to hormones, because my tear ducts are really taking over my composure these days. 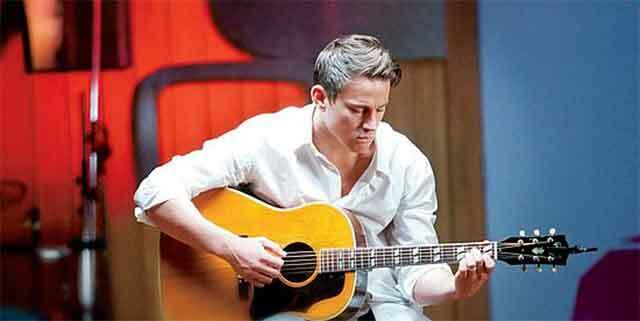 I guess it’s partly because Leo (Channing Tatum) reminded me so much of my husband, especially that part in the movie where he took in a stray cat for company; Or when he made some beautiful music on his guitar when his heart was broken by the woman he loved. So maybe this post is not really about The Vow, but about my husband, and how blessed I am to have him. Truth is, between the two of us, even before we were married, he is the real better half—for everything and whatever the term means. When we were younger, he was always the one fighting for us, solid and consistent in his love, while I was the impatient girl who made a habit of giving up when things were not working out. He gave me all the time I needed to figure out what I really wanted, to try out options, while he waited for me to come to my senses and realize that I could never be with anyone better. All of this with the added challenge of being continents and timezones apart. Sometimes I feel ashamed to admit that I broke his heart way too many times in our younger years, and how I took advantage of his young love—all those times I’d come back to him when I was feeling lost and unloved, confident that he would take me back in. But he sure did take me back without fail, and I’d give all credit to him for being the one who took the extra mile. So on our wedding day, when I declared my vow, and I promised to never give up on him, those words meant more to me than just some cheesy phrase you hear on weddings. When I said that I will never give up on him, it means turning away from my old self—that young, unsure girl who gave up on him many times in the past. Don’t get me wrong, it’s not just romantic movies that bring me moments like this. I feel blessed to have him everyday. When he picks me up from work, when he makes sure I take my vitamins, when he makes me a glass of Anmum before I sleep at night, when he holds my hand through a stomach cramp. Or when I place my hands over my growing belly bump, and it dawns on me that God is actually making a family out of us. You deserve someone who will fight for you and will never give up on you, no matter what life brings. And when you find that person, don’t ever give up on him too. Year 29, bring it on! Don’t worry Rhiz. You’re not the only one that cried buckets of tears at this movie (and no i am not pregnant). Come to think of it, our husband’s love is just a ‘tiny glimpse’ of how our Heavenly Father loves us! AMAZING! *WHEW* Thanks for letting me know I’m not alone. Haha. Miss you, Love!